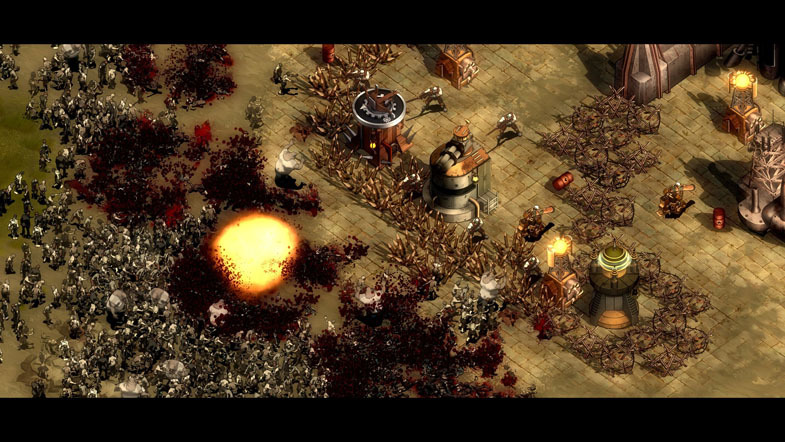 They Are Billions (TAB) is not your father’s RTS. Sure, you still build a base and armies, but you don’t use them to go out and conquer your enemies. Instead, you minimax your way through, clinging to survival as “billions” of zombies assault your colony. All the worst parts of an RTS campaign. When explaining Billions to people, they might get the impression that it’s basically a tower defense. Well, yes and no. It seems like tower defense was the inspiration for Billions, since you need to last a certain amount of time, there are waves of zombies, and your safest bet for defense is constructing powerful towers. But, it reminds me of something else much more: filler defense levels in RTS campaigns. If you’ve played through one or more of these, you know what I’m talking about. Inevitably, you come to a part where the devs want to mix up the gameplay a little. Often, they want to create a sense of mid-story climax (or in the worst cases, a final climax) without putting in too much effort — so what do they do? They let the computer cheat, slap on a time limit, and tell you to survive against overwhelming odds. If this is the kind of thing you love, then read no further (although, in that case, I’d be willing to bet you’ve already heard of this game and you’re not reading this, anyway): Go buy Billions and have a blast. But, if that sounds like the one thing you hate most about RTS campaigns, well, welcome to the club. Billions is all about hiding behind walls and towers until the clock runs out. You must remain ever-vigilant because a single zombie behind your lines can be your downfall. One zombie can infect a building by bringing it down, which spawns several other zombies and soon they have swarmed your base. There are ways to mitigate losses, but they take practice and skill – there is no such thing as beginner’s luck here. Swaths of content are missing. Billions is Early Access, lacking a tutorial and choices for game modes. In my experience with Early Access, you can never take it for granted that the devs will do anything more than polish up the fonts and call it finished, so we have to go with what we’ve been given. And what we’ve been given is very little. This plucky little RTS throws you into the thick of things without any instruction, so you have to either read the help files (who actually reads those?) or tackle it through trial and error. There’s only one game mode (survival) and one solitary map for you to play until you prove you’re good enough to unlock another, so if you don't catch on quickly, it can be a boring start. Like I said: one mistake and you’re done. This results in a learning curve that is completely unforgiving. Not only that, the resources aren’t streamlined, even a little bit. You need to balance colonists, workers (different from colonists, but sort of the same), food, energy, gold, wood, stone, iron, oil, humor, sand, a sense of achievement, calories, workplace safety, healthcare, and the feeling you get where you’re about to sneeze but you can’t quite make it happen, so you’re just waiting with a weird look on your face, holding your finger up before you continue your sentence. Seriously, though — the first nine of these aren’t jokes. This can provide a fun and torturous element of precarious balance as you try to upgrade your town against the clock, but it can also become incredibly frustrating and monotonous. These problems point to a lack of balance. If you’re like me, and you gradually crank down the difficulty until you understand how to play the game, you’ll suddenly go from being overwhelmed to utterly destroying the zombies. “Well, that’s good, right?” No, because then you’re on, say, Day 20, and you have to wait out another eighty days. Doing nothing. With no discernible way to speed up the clock. And no enemies to fight, except the occasional spawns. Only at Day 100 do you unlock the next map. They Are Billions only partly deserves the hype. Billions is still impressive in many ways. The artwork is nice, and it’s a chilling spectacle to see a mass of zombies form and overrun your town. Amazingly, the sheer number of units on screen never causes any sort of lag (which is part of the reason RTS population limits were created, back when computers couldn’t handle it). Plus, upgrading buildings and units for the sake of seeing how many upgrades you can collect is a classic Skinner Box formula for satisfaction. So is mowing down vast numbers of zombies with a fully upgraded force. This part-fantasy, part-steampunk world overrun with zombies needs little introduction and is given none. Having only the gameplay to work with, a healthy imagination will supply enough of a backstory. All the same, I would have appreciated some context. The mechanics and polish are also impressive for an indie developer like Numantian Games. Even if I personally don’t enjoy tower defense or RTS defense levels, I understand that many people love them, and this is one of the more entertaining and original entries in the genre. 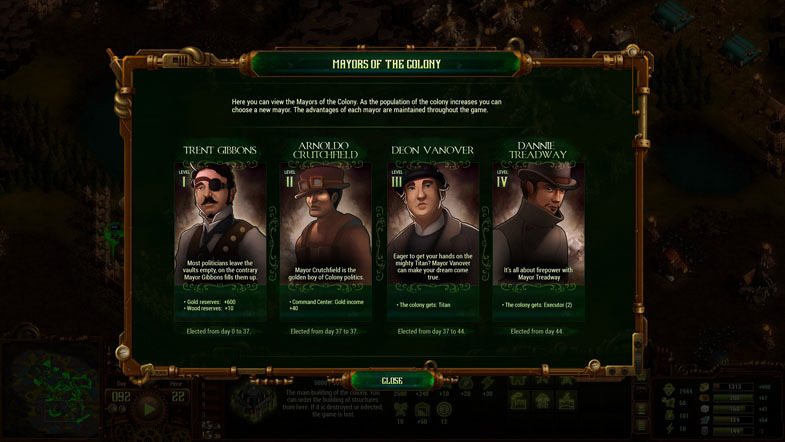 They Are Billions only partly deserves the hype. Some elements are polished and fairly creative, while others are overwhelming and messy. At first glance, the sheer number of variables seem impressive and filled with potential, but they actually become a hindrance down the line. This title is for those who enjoy the defense genre and don't mind a painfully steep learning curve.